Geraldine Brooks was born on 14 September 1955 in Sydney, Australia. She grew up in the suburbs of Ashfield where she attended Bethlehem College and the University of Sydney. She worked as a reporter for The Morning Sydney Herald then won a Greg Shackleton Memorial Scholarship and moved to the USA to complete her Master’s Degree at Columbia University in New York, New York State. In 1984 she married American journalist, Tony Horowitz and converted to Judaism. The author worked as a foreign correspondent for The Wall Street Journal. This gave her the opportunity to cover crises in the Middle East, Africa and the Balkans. Subsequently, Brooks became an American citizen in 2002 but also retained her Australian passport. Brooks wrote this book, March in 2005 and it won the Pulitzer Prize for Fiction. It was book of the month in the book group I attend in the library in the Village. It is a historical novel and love story set during a time of catastrophe on the front lines of the American Civil War. From the classic by Louisa May Alcott Little Women, Geraldine Brooks has brought the character of the absent father, March, and crafted a story that is filled with the ache of love and marriage and with the power of war. Brooks follows March as he leaves his family to aid the Union cause in the American Civil War. His experiences change him and his marriage and challenge his most ardently held beliefs. This book tells the story of the absent father in Louisa May Allcott’s Little Women. There the reader only gets to know Peter March through his letters to his family. They are more cheerful that reality in order to spare his family worry. 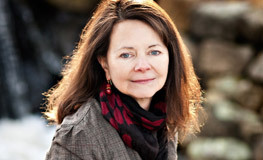 Geraldine Brooks uses her novel to tell of Mr. March’s early life as a travelling salesman, of his first kiss with someone other than his future wife and his strong abolitionist views. The story also tells how the war changed Peter March both physically and mentally. To create Peter March Brooks draws from the diaries of Alcott’s own father, Bronson Alcott. As the “little women” in Alcott’s novels were based on members of her family, it makes sense that the father of the household should be too. This is one of the most worthy winners of the Pulitzer Prize that I have read in a long time. It is also the best prequel written by a different author that I have ever read. If you have not read this book yet, read it now.